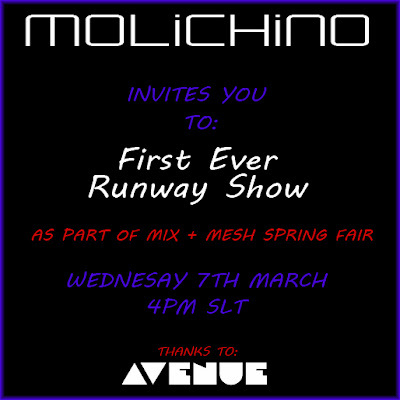 WOW it's my very first ever fashion show!!! I can't tell you how excited and nervous I am!! But mostly excited!! I'd love for everyone to come and view the newest mesh items from my spring collection as well as some old favourites! !